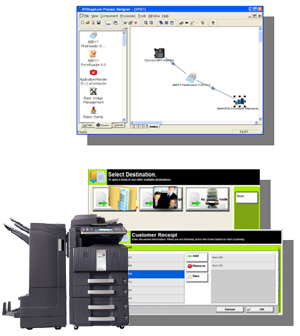 KYOcapture is Kyocera’s server-based document capture workflow solution that enables the capture, process and routing of paper or electronic documents to multiple locations. KYOcapture delivers increased document workflow efficiencies, as well as related cost savings. The Kyocera HyPAS component delivers a simple, feature-rich solution.